Foodista | Join the Foodista Culinary Tour to Peru This October! On our eight-day food tour in Peru, we dine at Astrid y Gastón, the number one-ranked restaurant in Latin America. We visit the Pisco area south of Lima, famous for its distilled wine spirit, and delight in fresh seafood in Paracas on the Pacific Ocean. We tour a home corn-beer brewery, shop at an Andean market, and visit a chef’s home in Cusco for a cooking class. On to of all this we spend a day touring Machu Picchu, the Lost City of the Incas, making this a tour you will always remember. This private tour is hosted by Foodista co-founders and passionate food and travel-lovers, Barnaby Dorfman and Sheri Wetherell, who will share with you all the wonderful foods and drink of Peru! This is a one-time event and space is limited. DAY 1: Arrive any time you wish and we will pick you up at the airport. Because most flights arrive at night, no other activities are scheduled for this day. The Casa Andina is centrally located and, if you have time, you can walk around the downtown area on your own. DAY 2: In the morning we visit Lima’s main square and then a nearby local food market. Your guide will explain about all the foods available in the market. Lunch is on your own at one of the many available restaurants. 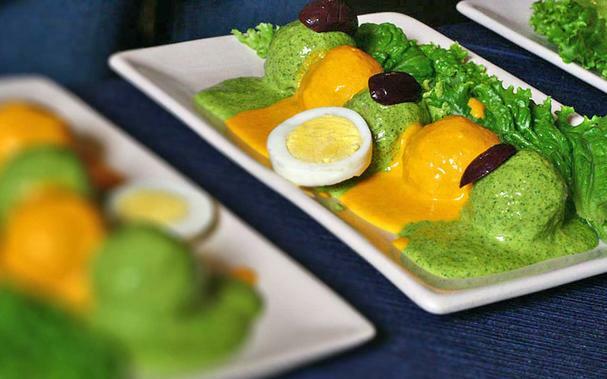 In the afternoon, we visit the House of Gastronomy - Peru's only food museum. This unique museum details the history and present state of food in Peru and is an excellent introduction to the tour. This evening we dine at Astrid y Gastón, the number one rated restaurant in Latin America and #14 in the world! D A Y 3: Today we head south to the black community of Chincha and taste their local dishes, a mix of Spanish, Peruvian, and African flavors. After lunch we head to the town of Pisco, famous for this distilled wine and the yummy pisco sours made from it, where we tour a factory and taste the product. 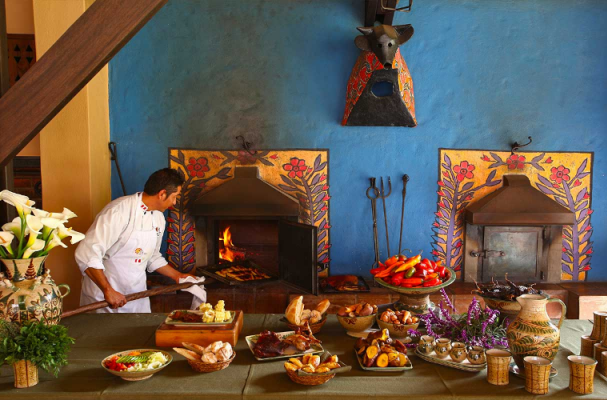 We’ll continue to Ocucaje Hacienda, one of the rare wineries in Peru, for a wine tasting and cooking demonstration. D A Y 4: Hop on a boat to Ballestas Island, part of the Paracas National Reserve, and learn about the variety of species of fish, sea life and birds. Back in Paracas, we’ll enjoy a master class about cooking ceviche and tiraditos. In the late afternoon, we will drive back to Lima with dinner on your own en route in preparation for an early flight tomorrow. D A Y 5: This morning we head to the airport for our flight to Cusco. Because Cusco is at 11,200 feet, we immediately hop on a bus and descend into the Sacred Valley of the Incas. We’ll visit the local market in the village of Pisac where you can choose your own lunch, explore the Maras salt pools founded by the Incas and still operating today, and taste the wares at a family-run Chicheria, a home brewery that produces chicha from fermented corn. In the evening we’ll have a cooking class at our hotel, followed by dinner and a dancing demonstration. D A Y 6: We visit the nearby Ollantaytambo Incan ruins, our first real exposure to the amazing architecture of the Incas. From there, we’ll travel to the village of Cachiccata, which is well known to us as it is where we hire all the porters on our Inca Trail tours (and where Zephyr’s owner Allan Wright once played a morning soccer game with the locals after spending the night in a tent in the village). In Cachiccata we’ll participate in preparation of the traditional Pachamanca underground barbeque. Late this afternoon we’ll take a scenic train ride along the Urubamba River to Machupicchu Pueblo (formerly Aguas Calientes), deep in the jungle and surrounded by steep mountain peaks. D A Y 7: We get up very early to be some of the first people today to peer into the preserve of Machu Picchu. In fact, if the weather is right, your guide might try to convince you to see the sun rise over this Unesco World Heritage Site. This amazing “lost” sanctuary of the Incan rulers is perched on a ridge between two peaks and is as amazing as the photos suggest. You can choose to wander the grounds on your own, imagining what life must have been like over 500 years ago, or hang with our guide as he explains the intricacies of life among the Incas. In the afternoon, we return to Cusco and dine in the MAP Cafe, one of Cusco's top restaurants. You can fly into Lima, Peru at any time on the first day of the trip and we’ll meet you at the airport. We will fly from Cusco to back to Lima in the afternoon of the final day and most flights from Lima back to the US depart late at night, so you will have plenty of time for your connection home. If you choose to extend your trip, you can stay in Cusco, visit one of the other amazing areas of Peru, or spend more time in Lima. A Zephyr representative will wait for your arrival in Lima. If you arrive before the first day, we’ll explain how to get from the airport to the downtown area. We’ll also handle the booking of your internal Lima to Cuzco roundtrip flight and all other local transportation details. You will receive further details upon booking. Nights 1 & 2: Casa Andina We stay in this well-known Peruvian hotel chain for two nights in the capital, Lima. It is simple, clean and perfectly located. This is the only hotel in Peru located in the middle of a vineyard (shown), an excellent chance for us to become familiar with the small wine industry in the country. We stay overnight at the Lima airport in preparation for an early flight the next morning to Cusco. Located in the Sacred Valley in the town of Urubamba, our hotel is halfway between Cusco and our train pickup in Ollantaytambo. 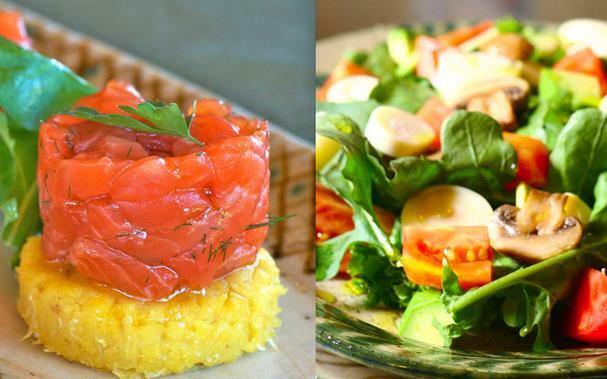 The chef here is known for creating inventive dishes using local products from the valley. This hotel, located in Machupicchu Pueblo, is our staging place to visit the ancient ruins of Machu Picchu. Located in Cusco in a colonial-era mansion dating back to the 17th century that is considered part of the cultural heritage of the city. Night 7: Picoaga Hotel, Cusco – Housed in a colonial-era mansion dating back to the 17th century that is considered part of the cultural heritage of the city of Cusco. Call us at 888.758.8687 or info@zephyradventures.com to check availability, or to ask any questions you may have regarding this trip or any other travel ideas you may be considering. You can book online or by calling us at 888.758.8687. Zephyr Adventures requires a $500 deposit (payable by check or credit card) at the time of booking. The remaining balance is payable by check or credit card no later than 60 days prior to the start of the trip. The trip minimum is six and maximum is 20 participants. Once we reach the minimum of six, we will send you a link to detailed pre-departure documents: arrival and departure information, suggestions for making travel arrangements, a packing list, an invoice, information about your trip location and guides. It will also include a link to an information form and liability waiver. We will also provide you with a link to information about travel insurance. We highly recommend you purchase travel insurance because it protects you if you have an unexpected change in travel plans.